THE EMPIRE is delighted and excited to announce a collaboration with Riproar, one of the country’s longest running comedy clubs. Operating in the main auditorium for three ‘soft-launch’ dates before Christmas, you can expect to see four of the circuit’s best comedians at each show. One of them will act as host and compere, chatting to the audience at the beginning of each section of the show. The show is in three sections, with a beer/comfort break between each one. Arrival time at the venue is 6.30 – 7.30pm for an 8pm show start time. 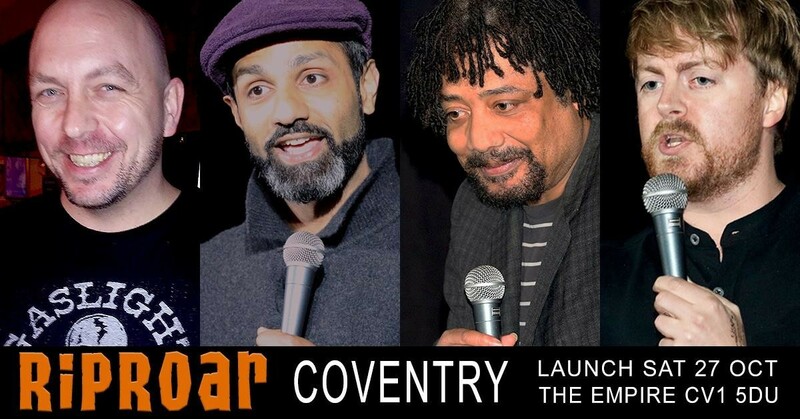 Proof of valid student ID (NUS Card or Coventry University Pass) is required - if not displayed upon arrival, the difference of the 'Advance Comedy Show Ticket' will be charge. Display your ticket/s upon arrival, we'll email them to you. Enjoy the show.